Matthew White and Frank Webb bring a sense of history to every interior design project, but balance it with an appreciation for modern living. This blending of old and new is the hallmark of the White Webb sensibility. Interior designer and author, Matthew White was selected as one of the “AD 100” (Architectural Digest’s list of the 100 best designers in the world). Rather than being known for a specific look, he creates something new with every project. His passion for history is clearly evident in his work, while his partnership with Frank Webb (a modernist) presents a refreshing blend of old and new. Although their projects are stylistically diverse, there is a consistent sensibility within the work – warmth, comfort, beauty, quality and a keen interest in lasting design. Matthew White’s intrinsic fascination with a broad spectrum of periods and cultures was further enhanced by his own colorful, personal history. Unlike many of his designer peers, he was not raised among priceless antiques nor mentored by a world-famous designer. Instead, he got his start at Tumbleweed Trailer Park in Amarillo, Texas. It was in these early years that he showed an irrepressible passion for the arts and learned the value of hard work. As a young adult, Matthew bucked tradition by pursuing a career in dance. In 1978 he was accepted into the prestigious School of American Ballet in New York City. During his training at the school, he worked in an antiques shop where he continued to cultivate his education in period styles. He went on to dance professionally for five years with the Los Angeles Ballet. Touring the world with the ballet company, he learned first-hand about a variety of European and Asian styles. After leaving the theatre he had a successful career in graphic design. But it was in 1989 that he returned to his first love and opened an antiques shop in Pasadena, California. The nearly ten years of owning Matthew White Antiques proved to be a period of great artistic growth, allowing for a deeper understanding of the world of decorative arts. It wasn’t long before the collectors who frequented his shop insisted that Matthew design the rooms in which his treasures would be placed. Now, as an experienced practitioner, Matthew White gives lectures on design, historic styles and the use of antiques in the home. He has been featured in nearly every major shelter magazine. 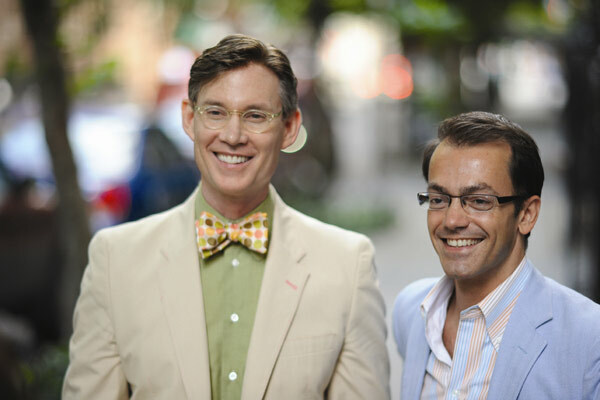 In 2004 he joined forces with Frank Webb to form White Webb, LLC, and in 2006 the design duo were named among the “New Tastemakers – 50 for the Future of Design” by House & Garden. In addition to his interior design work, Matthew White is involved in various philanthropic causes. He is the Chairman of Save Venice Inc. – an American non-profit that restores superb examples of Venetian art and architecture. He is also on the Historic Preservation Committee for the hamlet of Hillsdale, NY. Matthew recently completed his first book titled Italy of my Dreams – An American Designer’s Real Life Passion for Italian Style. From his earliest days, Frank Webb can remember being somewhat of a design junkie, but it took him a long time to cede control to his admitted addiction. While he admired and studied the work of architects and designers for many years, he devoted the first phase of his professional life to the financial services industry. During the seventeen years he spent in this field, he honed his skills in project management, strategic planning, and communications, culminating in his running Client Service as a managing director for J.P. Morgan Investment Management. Seeking a new challenge, he left the firm in 2002 and began to explore new fields. Eager to exercise his creative muscle, he pursued a number of different avenues far afield from the world of finance. During this process, a chance meeting with Matthew White persuaded him to convert his life-long passion for interior design into a new career. After lengthy discussion and a fortuitous design collaboration, the two men decided to join forces and formed White Webb, LLC in early 2004. Frank holds a degree in international economics from Georgetown University’s School of Foreign Service, as well as a certificate in international business from Nijenrode, the Netherlands School of Business. He is involved with a number of non-profit organizations, having lent volunteer assistance to The Kips Bay Boys & Girls Club, The Roundabout Theatre Company, and the Community Development Venture Capital Alliance. Most recently, Frank embarked on another creative outlet, combining his passions for international affairs, the arts and building businesses. At Africa.com, a website dedicated to presenting the best of the African content, he serves as an Advisory Board Member and Creative Director. Named to New York Spaces Top 50 for 2016 and 2017. Selected to design a room at Holiday House 2015. 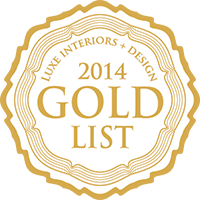 Named to 2014 Gold List by Luxe Interiors + Design. Winner of Best of Houzz 2014 Customer Satisfaction Award. 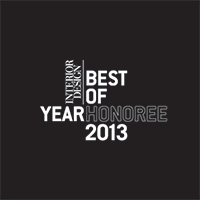 White Webb’s Clearly Classic Alexander Console selected as Honoree in Interior Design’s 2013 Best of Year Awards. Matthew White chosen by Architectural Digest to give illustrated talks on the Seabourn Odyssey Mediterranean cruise from Lisbon to Rome, April 2011. Selected to be among only six design firms to create a room at Metropolitan Home’s Showtime House. The White Webb room was inspired by the Showtime television series Weeds. Selected to design room for the 2008 Kips Bay Decorator Show House. Chosen to create the Architectural Digest Greenroom for the 79th Annual Academy Awards. Chosen to create the Architectural Digest Greenroom for the 58th Annual Primetime Emmy Awards. Selected as one of House and Garden’s 50 New Tastemakers for the Future of Design. Selected to design room for the 2005 Kips Bay Decorator Show House. Matthew White Named in 2004 to Architectural Digest’s list of the top 100 designers (AD 100).